To kick off our seventh year on the air in high style - or should that be Highlands and Lowlands style? - Hoosier History Live will present one of our popular ethnic-heritage shows. Scotland made headlines 'round the world awhile back with the vote on independence from the United Kingdom, so doesn't it seem logical to explore immigration to Indiana from the land of bagpipes and kilts? Scots became the fourth most numerous European heritage group in Indiana, according to Peopling Indiana: The Ethnic Experience (Indiana Historical Society Press, 1996). They were exceeded only by residents of German, Irish and English descent. "A trait of Scots who are immigrants is the tendency to assimilate rather than cluster," says Dr. Lee Cloe, a Noblesville native and charter member of the Scottish Society of Indianapolis. 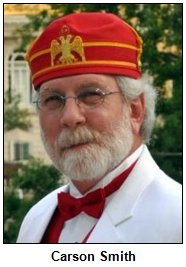 "While in most large cities, one can find 'Chinatown,' 'Greektown' or other groupings, you will not see a 'Scottstown.' Normally after two generations, they did not refer to themselves as Scots, but Americans." Dr. Cloe, a retired U.S. Air Force pilot, training officer and commander (he retired with the rank of major), will join Nelson in studio. One of the best-known figures of early Indiana - frontier military leader George Rogers Clark, a Revolutionary War strategist - was of Scottish heritage. Famous for defeating the British at Vincennes (which had been renamed Fort Sackville) with a ragtag army during the winter of 1779, Clark (1752-1818) founded the town of Clarksville on the Ohio River. His brother, William Clark, became the renowned explorer of Lewis & Clark fame. Ever wonder what the term Scotch-Irish means? Our distinguished guests will explain, along with sharing insights about how and why a mix of people with Scottish heritage were among the first people to survey the early Virginia Colony and European heritage settlers to penetrate the Appalachian Mountain range in the 1780s. 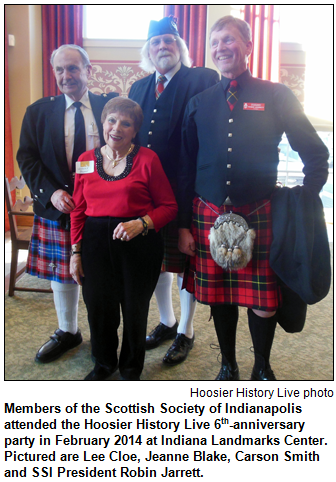 Today, Scottish societies flourish in Hoosier cities such as Bloomington and Fort Wayne. According to several sources, many Scots were recruited to help build railroads in the area around Columbus, which hosts a popular Scottish Festival every September. Even so, our guest Dr. Cloe notes that Scots did not tend to arrive in "waves" to Indiana, unlike some other ethnic heritage groups. He adds that not all place names in Indiana have the kind of direct link to his ancestral homeland that you might assume. Dr. Cloe notes the town of Scottsburg in southern Indiana was named in honor of Horace Scott, a railroad president; Scott County was named after Gen. Charles Scott, who fought in the Revolutionary War. Coal miners from Scotland immigrated in substantial numbers to southwestern Indiana to work in Hoosier coal mines, according to Peopling Indiana. In the 1820s, Scottish industrialist Robert Owen started the second attempt at a utopian society in New Harmony. (He had been born in Wales but eventually owned mills in Scotland.) After purchasing the scenic village on the Wabash River from a group headed by German immigrant George Rapp, Owen brought a "Boatload of Knowledge" - scientists, scholars and other intellectuals were aboard - to New Harmony. Indiana's governor during the Civil War, Oliver P. Morton, was of Scottish heritage. "Not all Scots have a 'Mac' in front of their names," Dr. Cloe notes, "so unless they 'bragged' about being from Scotland, most people would not know their background." 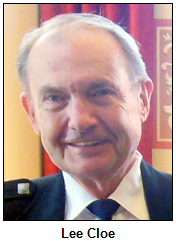 Our guest Carson Smith, who has had a long career as a sales representative, is a past president of the Indiana society of the Sons of the American Revolution and was the first editor of The Thistle, the newsletter of the Scottish Society of Indianapolis. In addition to his military background, our guest Dr. Cloe was an administrator or specialist with universities in Indiana and with various state and city agencies. In 2008, our first year on the air, Dr. Cloe was a guest on one of our first ethnic heritage shows. Since then, Hoosier History Live has expanded from 30 minutes to an hour and has explored ethnic heritage groups, including Germans, Irish, Cubans, Italians, Greeks, Scandinavians and Russians, as well as Colombians and Venezuelans. Scottish Colonization of the Americas. Migration Patterns of our Scottish Ancestors. Indianapolis Highland Games & Festival. 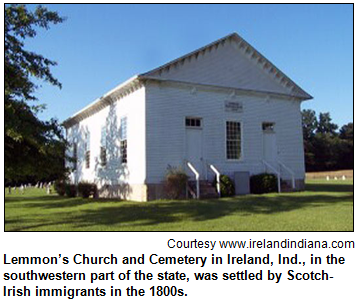 The oldest private college in Indiana was established by an educator of Scottish heritage. Located on a scenic campus in far southern Indiana, the liberal arts college began as an academy in 1827 and has had a long affiliation with the Presbyterian Church. 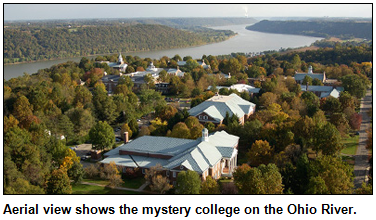 Attended by about 1,150 students, the college is near the banks of the Ohio River. Question: What is the Indiana college? The prize pack is a gift certificate to the Claddaugh Irish Pub & Restaurant, two tickets to the James Whitcomb Riley Museum Home, and two tickets to the President Benjamin Harrison Presidential Site, courtesy of Visit Indy. Not all Roadtrips are physical places. The Internet also allows us to travel to and explore the past! Guest Roadtripper Joan Hostetler of Heritage Photo & Research Services will tell us about The Indiana Album, a community-submitted digital album of Indiana-related photographs lingering in albums, attics and basements and now finding their way to the web. Tune in this Saturday to learn more about this Indiana Bicentennial project and how you can participate. 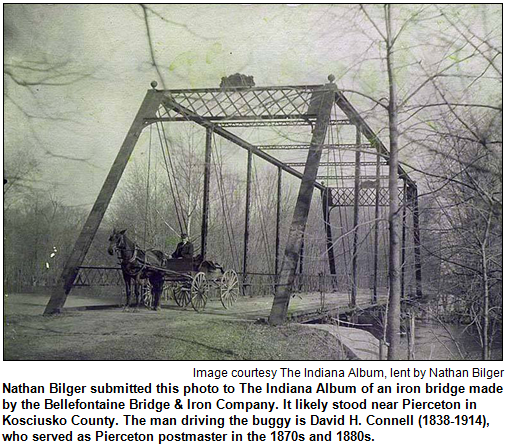 By the way, The Indiana Album is seeking help in identifying the photo of this mystery bridge. Maybe your home's interior has a Victorian-era theme. Or is your preference for an even earlier period, like the Colonial era? Perhaps, though, a much later era, such as the 1950s or '70s, is your decorative dream. To offer advice about furnishing homes with "period" themes, Hoosier History Live is calling in three experts with track records of making period-appropriate decorating decisions about distinctive homes, including some of Indiana's historic sites. Our topics will include plenty of do's and don'ts. We also will explore the care, treatment and placement of period furniture. David Buchanan of Indianapolis, curator of decorative objects and furniture for the Indiana State Museum and Historic Sites. Link Ludington of Madison, director of historic preservation for the state museum and historic sites. He also is an architectural historian. 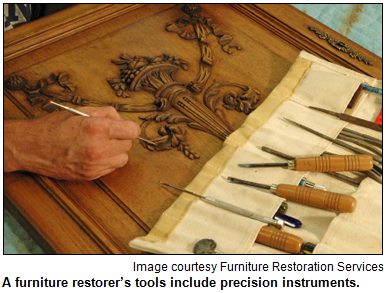 And Greg Ziesemer of Madison, an antique furniture conservator and owner of Antique Furniture Restoration Inc.
David Buchanan lives in an Italianate home built in 1870 that is considered the closest private residence to Monument Circle. Greg Ziesemer also has been involved with historic furnishings at the Lanier Mansion in Madison (where our guest Link Ludington once was the curator); the Benton House in the Irvington neighborhood of Indianapolis, and the IU Memorial Union in Bloomington.